Pato Banton was born Patrick Murray in London in 1961 but moved to Birmingham when he was 8 years old. His stepfather gave him his stage name, which translates as ‘Wise Owl’ and ‘Heavyweight DJ.’ He is both. A deeply spiritual man and a follower of the Urantia principle (as indeed was Spirit’s leader Randy California) he is also highly revered on the British reggae and toasting scene. His achievements include the number one hit single, a cover of Eddy Grant’s ‘Baby Come Back’, that he recorded in tandem with his friends Ali and Robin Campbell from UB40 in 1982 for his acclaimed Universal Love set. He has collaborated with UB40 and The Beat – Ranking Roger and David Wakeling were early champions of his style and followed his Emcee career closely – and he has also been involved with projects helmed by Ray Watts, a fellow Brummie of the group Beshara, David Hinds of Steel Pulse and Sting, who invited him to appear on his track ‘The Cowboy Song.’ A prolific and successful recording artist who divides his time between Canada, Birmingham and the West Coast Pato Banton’s disc Life Is A Miracle (2001) was a Grammy nomination in the Best Reggae Album category. He is also involved in acting work and teaching and uses his music within the framework of the group The Now Generation to spread a positive message, just as he always done. An activist and thoroughly great all-round person is out Mr Banton. In his early teens Pato started to gain his musical foundation on his stepfathers’ sound system called V-Rocket. Patrick would stay up all night entertaining the masses and was given the name Patoo by his stepfather. By the age of 16, Ranking Pato became well known around Birmingham and would get regular work from various leading sound systems across the city. Within a short space of time, he’d become the number 1 MC in Birmingham, winning the title seven years in a row. At the age of 19 while working for Sufferer Sound System, Pato was invited to join a local roots reggae band called Crucial Music. Within a year he became the bandleader, MC, singer/songwriter and manager, taking the band on tours of the UK and Europe. Pato’s first recording was a double A-sided single with Crucial Music entitled ‘All Night Raving & Sensimilla. Significantly Pato participated in a talent show where he was proclaimed the winner by judges Ranking Roger and Dave Wakeling of The English Beat. This culminated in the single, ‘Pato & Roger A Go Talk’, which appears on the Beat’s gold selling album, Special Beat Service. Shortly thereafter Pato performed the hit songs, ‘Hip-Hop Lyrical Robot’ and ‘King Step’ on UB40’s Baggariddim and Little Baggariddim albums. His second single, ‘Allo Tosh Got a Toshiba’ reached number 3 in the independent reggae charts and launched a string of successful projects with Fashion Records, Greensleeves & Island Records. During this time Pato teamed up with top London MC Tippa Irie they traveled around the world and recorded songs like, ‘Double Trouble’, ‘Dance Pon De Spot’ and ‘Dem No Know Bout Pressure’. All these introduced banton a wider audience. 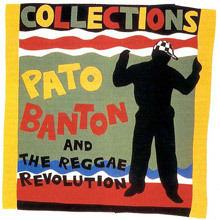 With his popularity growing rapidly, Pato renamed his band The Reggae Revolution and began touring extensively. Never Give In! was released in America and then globally. Such classic songs as ‘Don’t Sniff Coke’, ‘Handsworth Riot’ ‘Gwarn’ and ‘Settle Satan’ established Never Give In! as a masterpiece. 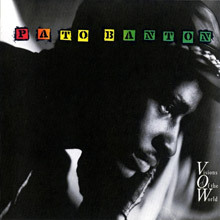 Pato’s third album, Visions of the World was released in 1989 and reflected the experiences and inner growth of a rising star. After tours with Ziggy Marley & the Melody Makers, Burning Spear, Third World, Yellowman, Black Uhuru, Dennis Brown and Steel Pulse, Pato secured his place and respect as one of the best live performers in the reggae industry. 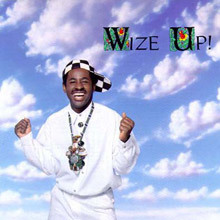 His fourth album Wize Up (No Compromise) demonstrated Pato’s awareness of social issues and his strengthening spirituality. This recording featured the talents of Peter Spence, Drummie Zeb of Aswad, and guest vocalist David Hinds of Steel Pulse. 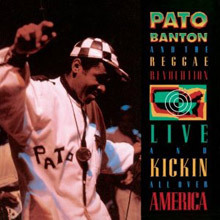 In 1996 Pato joined forces with international pop icon Sting, on a reggae remix of ‘This Cowboy Song’. This track earned a top ten place in the UK and South American charts. 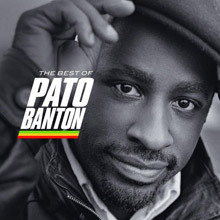 Pato’s ninth album, Stay Positive, was a blend of classic reggae sounds with messages of peace, love and spiritual unity. From this album came the hit single ‘Groovin’ (with Steve Morrison of the Reggae Revolution) and another successful collaboration with Sting on the re-make of the Police classic ‘Spirits in the Material World’. Their version is the one you hear on the soundtrack of the Jim Carey movie Ace Ventura: When Nature Calls. Now, if all this has whetted your appetite then please consider our excellent compilation The Best of Pato Banton. This includes the major hits like ‘Baby Come Back’ and ‘Spirits in the Material World’, gives one a chance to appreciate his vocal skills and humour on ‘Gwarn!’ and dig his message items like ‘Stay Positive’ and ‘Wize Up’ with Steel Pulse’s David Hinds. All in all this is a five star introduction to a man who is not just a world class reggae artist but also a performer in studio and on stage who has enriched the last three decades. Heavyweight wise owl. Pato Banton's 2nd studio album, release din 1989. A seriously infectious outing from Pato Banton, one of Birmingham, England's crowd of reggae performers. Most of the music here was performed by Banton with very few others involved -- the "friends" part of it comes in the vocal area, which sees him working with David Largie, Ranking Roger, Ray Watts, Macca B and Yasmin Alexander. The album is full of good songs and good rhythms, not to mention a great attitude -- even the obligatory rap track is interesting. Altogether, a very positive and enjoyable release with some excellent songs. This compilation grabs the best of Pato Banton, sweeping back to the DJ's debut in 1988 and bringing it forward with cuts recorded in 1994. There's 14 tracks in all, nicely weighted between earlier cultural material, uplifting anthems, and the humor-laced numbers. From the militant "Never Give In" to the unifying "One World (Not Three)" and on to the seminal comic routine of "Don't Sniff Coke," the listener is treated to every facet of the performer. Banton's music has changed dramatically over the years, beginning with solid roots and diversifying from there. Flashes of funk, sophisticated R&B, dancehall, and rap would slide in over time, but the beats have never flagged and the songs remain decidedly danceable. As a bonus there's a soca-fied version of the old favorite "Bad Man and Woman" and a pair of new songs -- the dancehall-flavored "Tudo De Bom" and an exhilarating cover of the Equals' hit "Baby Come Back," which guest stars three members of UB40. What more could listeners ask for? irmingham, England native Pato Banton (born Patrick Murray) was mentored by the English Beat's Ranking Roger, and actually made his debut guesting on Special Beat Service. But it's as a solo artist he's made his particular mark, with a chirpy mix of consciousness and humor that's both disarming and attractive, combining patois (or "patwa" as he calls it) and English. "Never Give In," the title of his first album, helped establish his reputation as a toaster, then the hilarious "Don't Sniff Coke," with its none-too-subtle message, proved to be a perfect follow-up, while "Gwarn!" showed that he truly did possess toasting skills, moving at hyper speed through the lyrics in a manner to which other dancehall wannabes could only aspire. 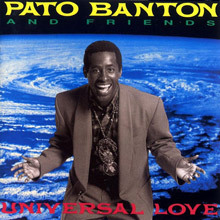 "Pato And Roger Come Again" brings his mentor back to record, with Banton giving appropriate props, but after that he turned to a smoother pop-reggae sound, and a more conscious, spiritual outlook, typified on "One World (Not Three)" and "Stay Positive," which comes across as almost a self-help manual with an off beat accent. His take on the Police's "Spirits In The Material World" (from the album Wize Up!) became something of an alternative radio hit, returning the bland white reggae to its black roots. Live album recorded during their US tour of 1990.